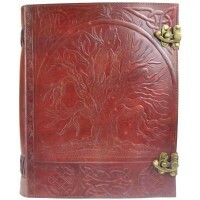 Beautifully hand tooled leather blank journal has a Howling Wolf and Moon design and brass latch. 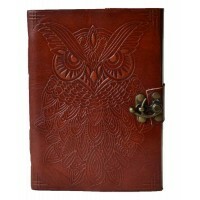 5 x 7 Inches. 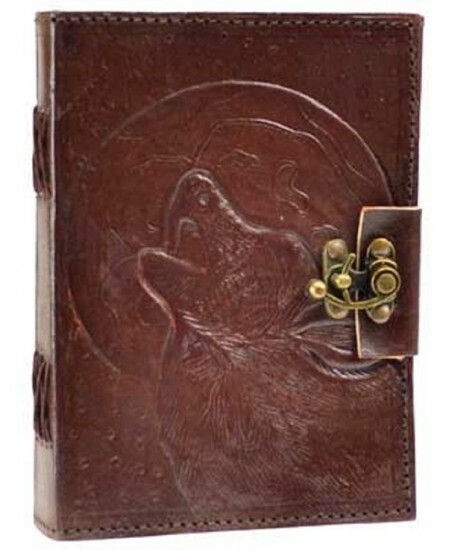 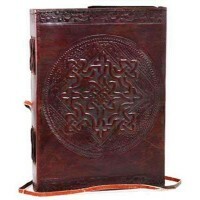 Hand tooled leather book cover has an embossed Howling Wolf and Full Moon with brass latch. 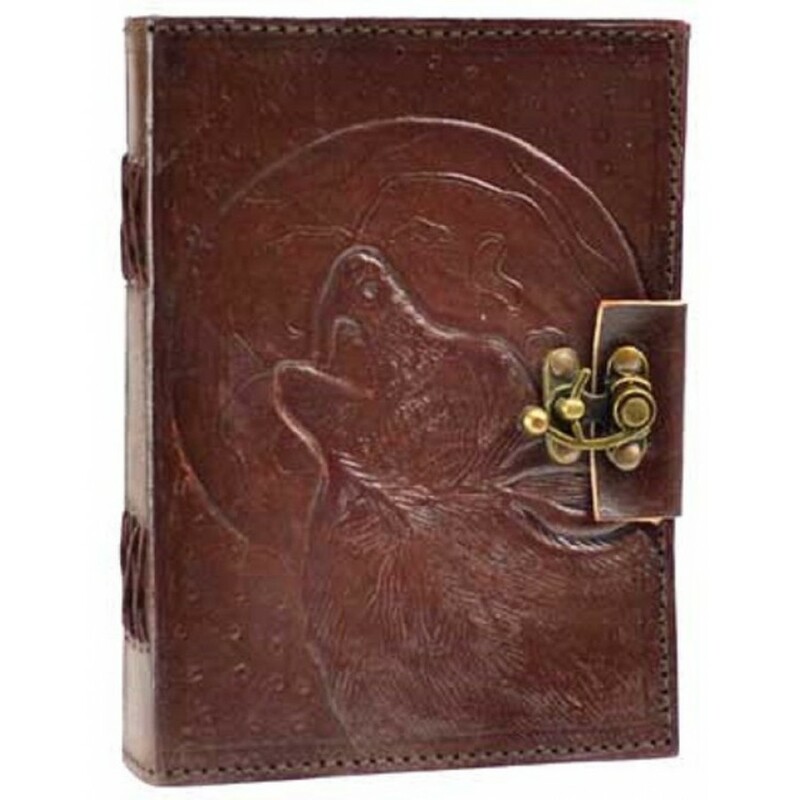 Contains about 240 pages of hand made unlined paper. 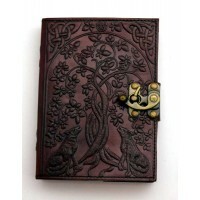 Book is 5 x 7 inches - a perfect size to take with you. 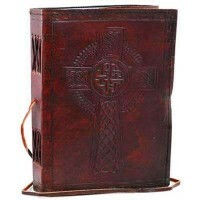 Item Number: AA-BBBL431 | Approximate Size (Inches): 5.00 wide x 1.00 deep x 8.70 high | Approximate Shipping Weight: 1.00 lbs.